A WIN FOR MAN IN THE CAN! 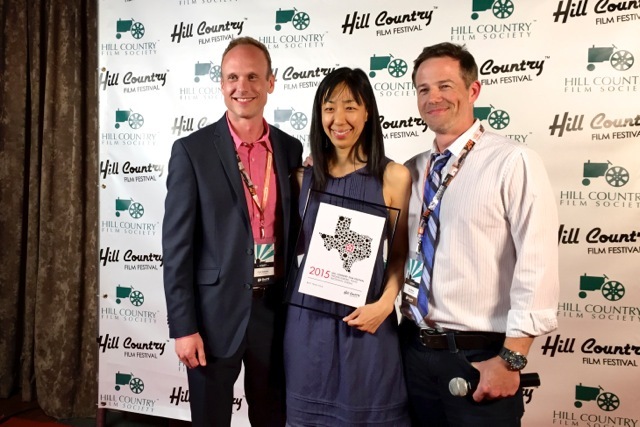 Filmmaker Noessa Higa took home the award for Best Texas Film at the Hill Country Film Festival! Thanks to Chad Matthews, Gary Weeks, Amy Miskovsky, and the entire staff at Hill Country Film Festival for this honor. Posted in Uncategorized and tagged Best Texas Film, Hill Country Film Festival, Noessa Higa, rodeo on May 6, 2015 by Noessa.